It's easier than ever to save with Rugby vacation packages on Expedia. You'll have heaps more time to organize the fun stuff — and more cash to splash! Book your deal on Expedia and save up to C$590*! It's really that simple! With more than 400 airline partners and 321,000 properties worldwide, our extensive database can help you reach your ideal destination. Unsure about your booking? There are no hidden fees from us when you change almost any reservation. Feeling excited about your trip to Rugby? After some suggestions about what to see while you're there? That's what we're here for! Like to wander where the WiFi signal is weak? Put away your phone, get off the grid and go for a hike through Mother Nature at Angel Falls Trial. There's a wonderful range of things to do close by. Need some guidance figuring out where to go and what to do? You'll discover the advice and info you're searching for at Bandy Creek Visitors Center. Still got time to spare? Eager to get into the great outdoors? The large open space at Big South Fork National River and Recreation Area is a terrific place to play some games or simply unwind and relax. There are presently no properties in Rugby showing up on Expedia. However, if you don't minding staying a bit out of town, a good option is the Comfort Inn Pioneer (335 Howard Baker Hwy) in Pioneer, 25 miles (40 km) away. We don't think the airport is going to be the most enjoyable moment of your adventure, but there's nothing like the thrilling feeling of knowing that your trip to Rugby is just a plane ride away! Once you take off your seatbelt at McGhee Tyson Airport (TYS), you'll be 55 miles (89 km) from the middle of town. 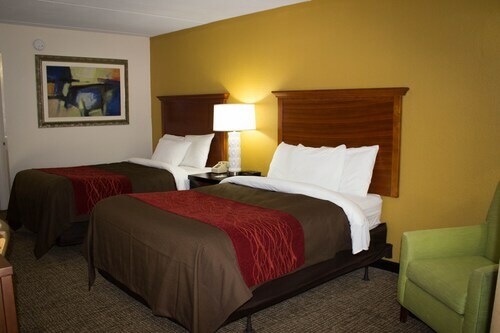 Situated in Helenwood, this hotel is 2.8 mi (4.6 km) from Brimstone Recreation and within 20 mi (32 km) of Big South Fork National River and Recreation Area and Angel Falls Trial. Bandy Creek Visitors Center and Somerset Community College are also within 25 mi (40 km). Situated in Jamestown, this motel is within 9 mi (15 km) of Angel Falls Trial, Bandy Creek Visitors Center, and Big South Fork National River and Recreation Area. Pickett State Park and Forest is 8.4 mi (13.5 km) away. 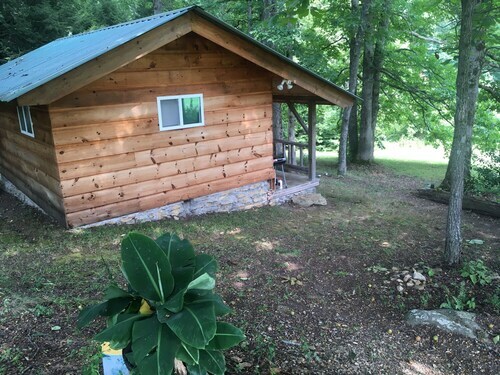 Situated in Robbins, this cabin is 15.5 mi (24.9 km) from Brimstone Recreation and within 32 mi (52 km) of Frozen Head State Park and Big South Fork National River and Recreation Area. Angel Falls Trial is 30.4 mi (49 km) away. 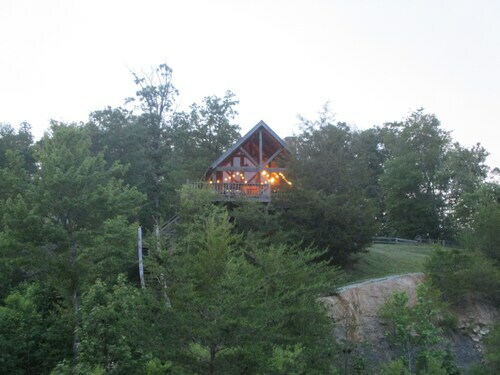 Situated on a river, this romantic cabin is in the same area as Angel Falls Trial and Big South Fork National River and Recreation Area. Regional attractions also include Bandy Creek Visitors Center and Split Bow Arch Overlook. Situated in Jamestown, this property is within 9 mi (15 km) of Angel Falls Trial, Bandy Creek Visitors Center, and Pickett State Park and Forest. Big South Fork National River and Recreation Area is 8.1 mi (13 km) away. Situated in Oneida, this historic property is 9.4 mi (15.2 km) from Big South Fork National River and Recreation Area and 11.1 mi (17.9 km) from Angel Falls Trial. Bandy Creek Visitors Center and Brimstone Recreation are also within 20 mi (32 km). The Haven For Outdoor Enthusiasts! 4 Wheelers, Hunters And Fishers.. 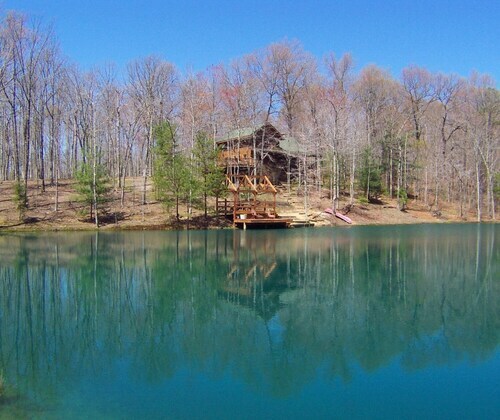 Situated in a rural location, this romantic property is 11.7 mi (18.9 km) from Brimstone Recreation and within 32 mi (52 km) of Big South Fork National River and Recreation Area and Angel Falls Trial. Bandy Creek Visitors Center and Frozen Head State Park are also within 32 mi (52 km). Dreamcatcher On White Creek With Creek Views! A True Piece of Paradise Awaits!!! 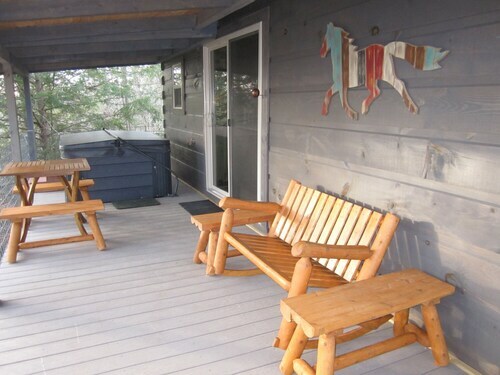 This cabin is in Deer Lodge.